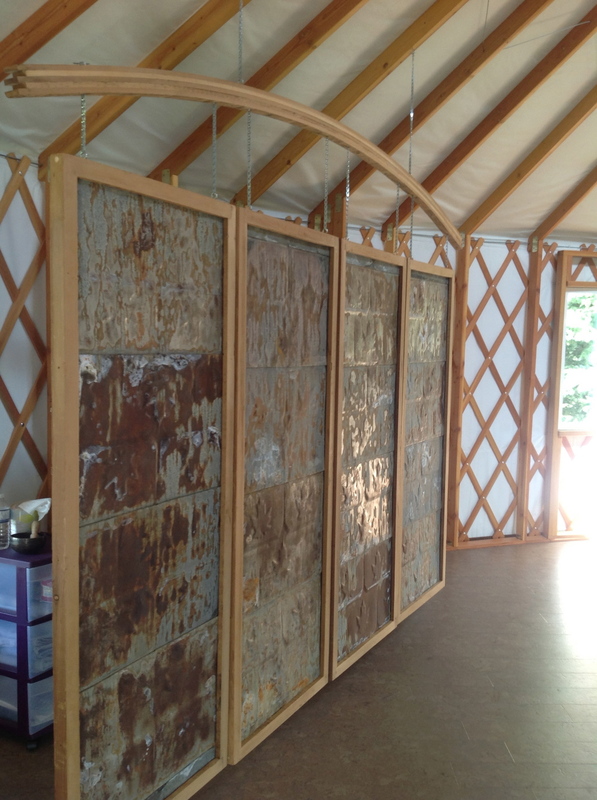 The lovely Shanti Hollow Yoga Studio is home to hanging panels custom built to act as room dividers in their yurt. Check it out in the Furniture and Woodworking section of the inventory. Check back here for updates from Salvage Solutions regarding new materials and projects.